Search Results for "blue sky wheat"
Field of wheat crop, close up. Blue sky background. Wheat with golden ears close-up. Blue sky background. 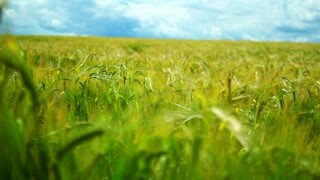 Wheat crop, up view. Clear blue sky background. Fields of Green and Gold. 3 different clips of a field with blue sky. 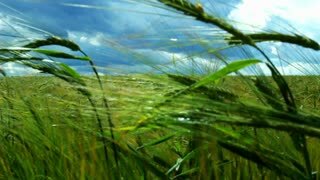 wheat blows in the wind. dolly shots slow motion. Beautiful girl standing on a yellow wheat field over a blue sky. Young woman in green dress standing sideways and looking at the camera in a field with wheat. Bright blue sky. 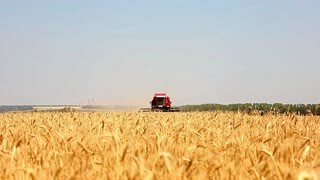 Side view of big red combine harvesting golden wheat in the field under the blue sky. 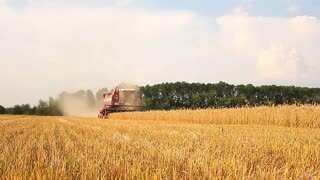 Combine harvester agricultural machine cutting golden ripe wheat at daytime. Beautiful wheat field on blue sky with clouds. Green wheat in the field. Not Mature the wheat.